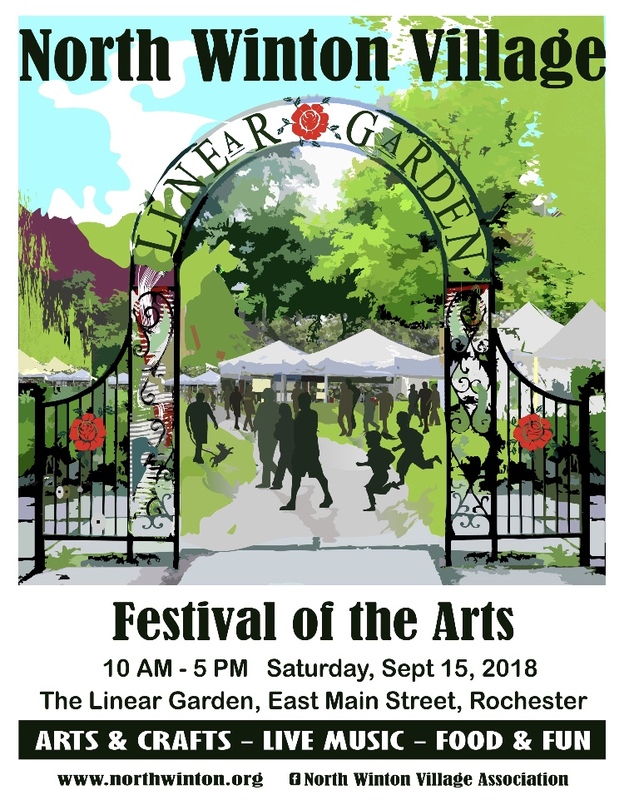 The eleventh annual North Winton Village Festival of the Arts will be held Saturday, September 16, 2017 in its traditional location the Linear Garden between East Main St. and Mayfield St.
Do you have what it takes to perform at next September’s North Winton Village Festival of the Arts? The 7th Annual North Winton Village Festival of the Arts will be held Saturday, September 14, 2013, from 10:00 a.m. to 5:00 p.m.
We are currently seeking volunteers to serve on the committee. We meet once a month and the meeting times are flexible. Are you interested in helping your community with this wonderful event? Then we want you…..
For more information or to join please call Marilyn Parchus at 585-224-9766 or send an email to info[at]northwinton.org. For more information, see our Festival of the Arts page. You’re invited to attend a meeting for the 2012 North Winton Village Festival of the Arts Publicity Committee. Mayfield Pub, Luvaboos, Captain Jim’s Parking from East Main between Luvaboos and Winfield Parking lot. Summit Federal Credit Union at 2315 E. Main St., Friday after 6:00 p.m. and Saturday after 1:00 p.m. There is lots of on street parking as well, for example East Main both sides of the street, Mayfield Street, Winton Rd, Elm Street, Elmcroft Rd, Quentin Rd, Corwin Rd, Merchants Rd, Atlantic Ave, Woodstock Rd, etc. Or better than parking, just walk or ride your bike! The 5th annual North Winton Village Arts Festival will take place September 31-October 1, 2011. 1933 East Main St. at Illinois Ave. Please contact us if you’re interested in securing a booth for the event.